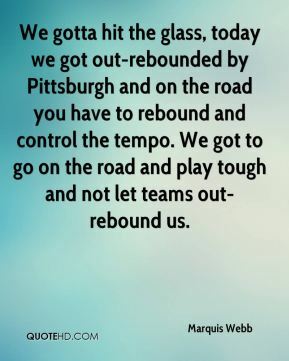 We gotta hit the glass, today we got out-rebounded by Pittsburgh and on the road you have to rebound and control the tempo. We got to go on the road and play tough and not let teams out-rebound us. 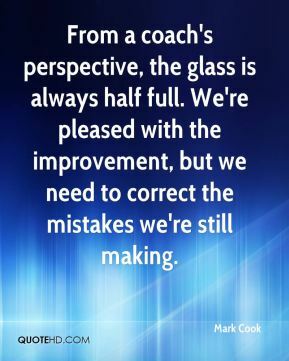 From a coach's perspective, the glass is always half full. We're pleased with the improvement, but we need to correct the mistakes we're still making. 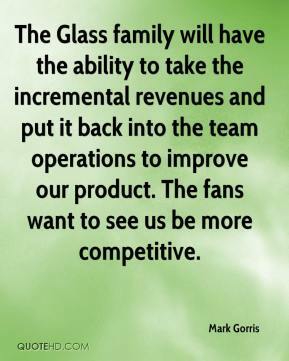 The Glass family will have the ability to take the incremental revenues and put it back into the team operations to improve our product. The fans want to see us be more competitive. 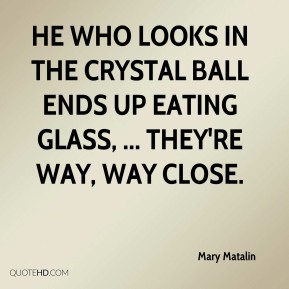 He who looks in the crystal ball ends up eating glass, ... They're way, way close. 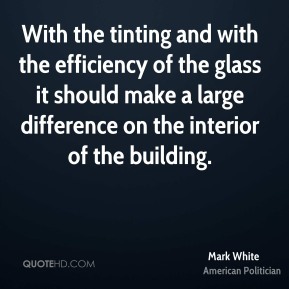 With the tinting and with the efficiency of the glass it should make a large difference on the interior of the building. I'm delighted that this agreement can finally enter into force, and I raise my glass to the negotiators for their efforts. 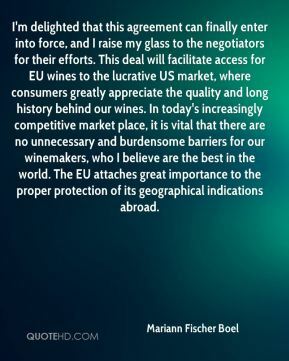 This deal will facilitate access for EU wines to the lucrative US market, where consumers greatly appreciate the quality and long history behind our wines. In today's increasingly competitive market place, it is vital that there are no unnecessary and burdensome barriers for our winemakers, who I believe are the best in the world. The EU attaches great importance to the proper protection of its geographical indications abroad. 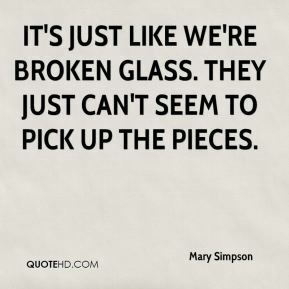 It's just like we're broken glass. They just can't seem to pick up the pieces. 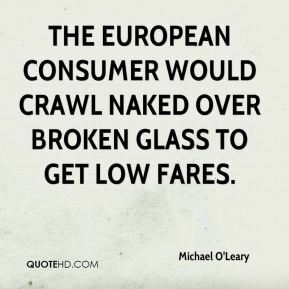 The European consumer would crawl naked over broken glass to get low fares. 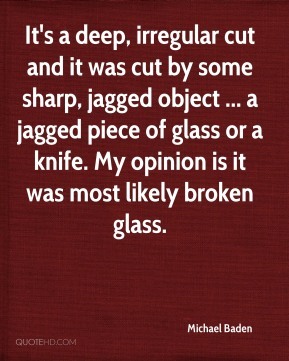 It's a deep, irregular cut and it was cut by some sharp, jagged object ... a jagged piece of glass or a knife. 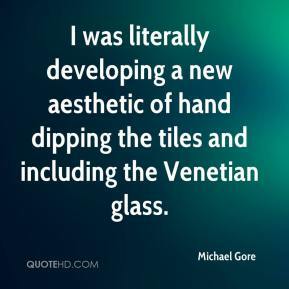 My opinion is it was most likely broken glass. 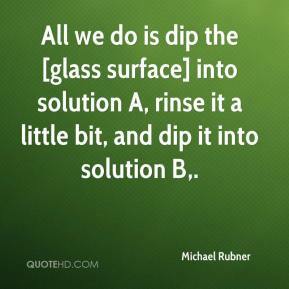 All we do is dip the [glass surface] into solution A, rinse it a little bit, and dip it into solution B. 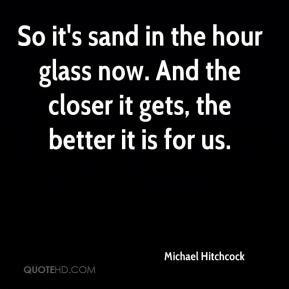 So it's sand in the hour glass now. And the closer it gets, the better it is for us. 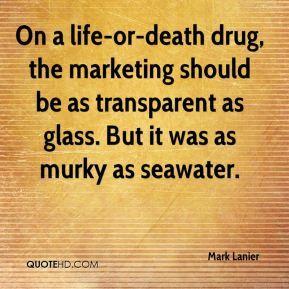 I'm definitely a glass half-full guy. I'm an extremely fortunate individual. 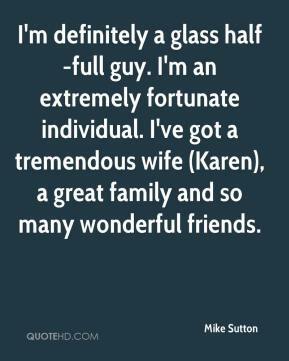 I've got a tremendous wife (Karen), a great family and so many wonderful friends. 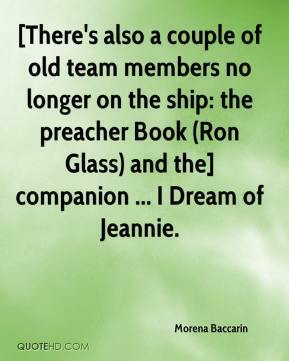 [There's also a couple of old team members no longer on the ship: the preacher Book (Ron Glass) and the] companion ... I Dream of Jeannie. I love milk so much! I make a point of drinking a glass of milk every day. 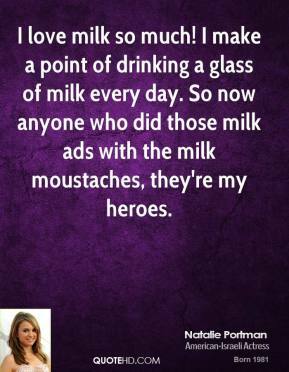 So now anyone who did those milk ads with the milk moustaches, they're my heroes. 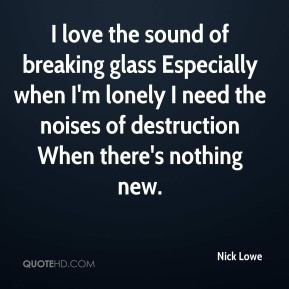 I love the sound of breaking glass Especially when I'm lonely I need the noises of destruction When there's nothing new. 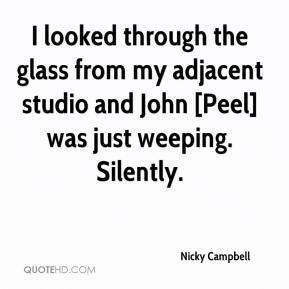 I looked through the glass from my adjacent studio and John [Peel] was just weeping. 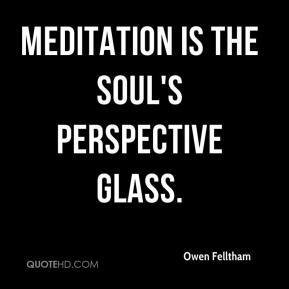 Silently. 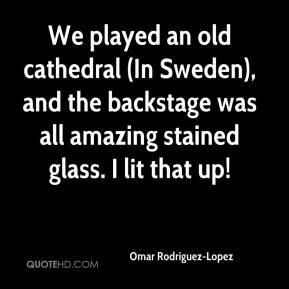 We played an old cathedral (In Sweden), and the backstage was all amazing stained glass. I lit that up! 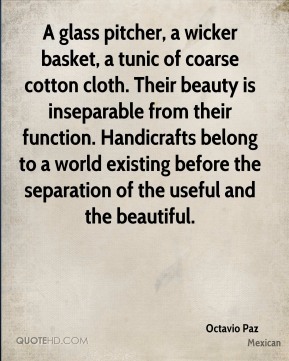 A glass pitcher, a wicker basket, a tunic of coarse cotton cloth. Their beauty is inseparable from their function. Handicrafts belong to a world existing before the separation of the useful and the beautiful. 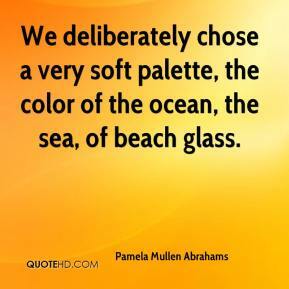 We deliberately chose a very soft palette, the color of the ocean, the sea, of beach glass. 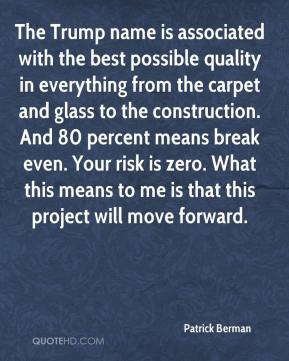 The Trump name is associated with the best possible quality in everything from the carpet and glass to the construction. And 80 percent means break even. Your risk is zero. What this means to me is that this project will move forward. 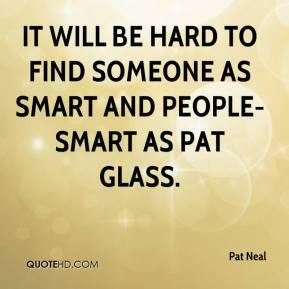 It will be hard to find someone as smart and people-smart as Pat Glass. 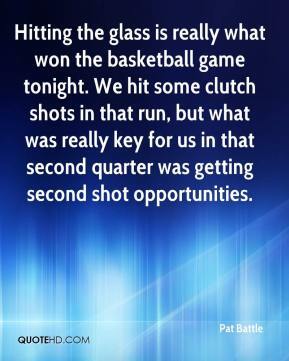 Hitting the glass is really what won the basketball game tonight. We hit some clutch shots in that run, but what was really key for us in that second quarter was getting second shot opportunities.